When I first listened to Nothing, I didn’t like them. That’s the absolute truth. My good friend, and fellow 4LN writer, Bill Clark introduced me to them and I listened to their EP Downward Years to Come, but I just wasn’t sold. Soon after that their first full length album Guilty of Everything came out. One night after a few glasses of whiskey, and probably 20 minutes of trying to find something to listen to on Spotify, I decided to give the new album a shot. At first I just thought it was the whiskey that was making my brain thoroughly enjoy what I was hearing, but the next day when I was completely sober, I listened to it again and loved it just as much. Maybe more. It’s rare that things have to grow on me, but when they do it’s almost always something I end up becoming obsessed with. I’m obsessed with Nothing. Tired of Tomorrow is only Nothing’s second full-length album, but it shows more personal growth in that small amount of time than some bands show in their entire careers. Guilty of Everything is incredible because Nothing showed that they can do the shoegaze sound on it’s own better than anybody else out there today. Sure, there are bands that mix the sound with something else, like black metal or indie rock, but Nothing made an album that is essentially just shoegaze from beginning to end and it never gets boring or exasperating. This new album though, while not definable as a “departure” is much more eclectic, and shows off a plethora of the bands influences. The album opens with the pummeling, but gorgeous, “Fever Queen.” The album literally starts with just a wave, no… a tsunami of sound hammering your head. You slowly begin to hear the lead guitar melody come in and then eventually take over the track. The relentless beat changes pace some, but it doesn’t stop until the song ends. In some ways, it feels like a track that could’ve fit just as well into Guilty of Everything but more mature. That’s not to suggest that anything on GoE was immature, just that this advances things to a new level. The first single off the album is “Vertigo Flowers”, and it’s a perfect example of how they’ve evolved. It has a lovely melody and some very heavenly guitar parts that make so you want to swat back and forth. Then there’s a musical bridge section that grooves so hard it makes you feel like you want to shake your fists along with it to the rhythm. Even though the band shows off more developed creativity here, there is still plenty to keep current fans satisfied and happy. One of the first songs they put out from this record is “Eaten by Worms”, and, while it begins with a slow, mellow guitar strum, at around the 30 second mark it really comes crashing in heavy and pummels your ears through the verse until slowing down briefly for a really pretty section with vocals and piano, only to recommence the pummeling very quickly. Nowhere is safe from their onslaught of fuzz guitar tone. Well, almost nowhere. The final track on the album is also the title track, “Tired of Tomorrow”. It’s, very truthfully, the most beautiful song I’ve heard in a long time. It starts with just a piano and vocals, but eventually there are some very elegant orchestral parts that add so much to the song. There’s a theme of self-realization to most all of Nothing’s songs, but this one is quintessential. Vocalist Domenic Palmermo sings through the chorus, “Stranded in today, clawing from the outside. And I’m tired of tomorrow on the inside.” It’s not pleading. It’s not desperate. It’s… hopelessly realistic. It feels like saying in a very matter-of-fact way, “This is my situation. I’ve been trying to change it but I’m doomed and I can’t do anything about it.” I respect that level of raw emotion and understanding. The best way I can think of to relate Nothing’s growth from their first album to this one, is to compare it to The Jesus and Mary Chain. Their first album Psychocandy was the archetype for noise-pop and shoegaze, but then their next album, Darklands, was much more mature and less chaotic musically. It’s by no means a devolution. It’s just different. Not better, not worse. They made an album that almost sounds like a completely different band but with leftovers of their original sound. They just found ways to incorporate it less aggressively and the result was an album that was more commercially viable and accessible, without compromising their convictions or creativity. Nothing has essentially done the same thing. 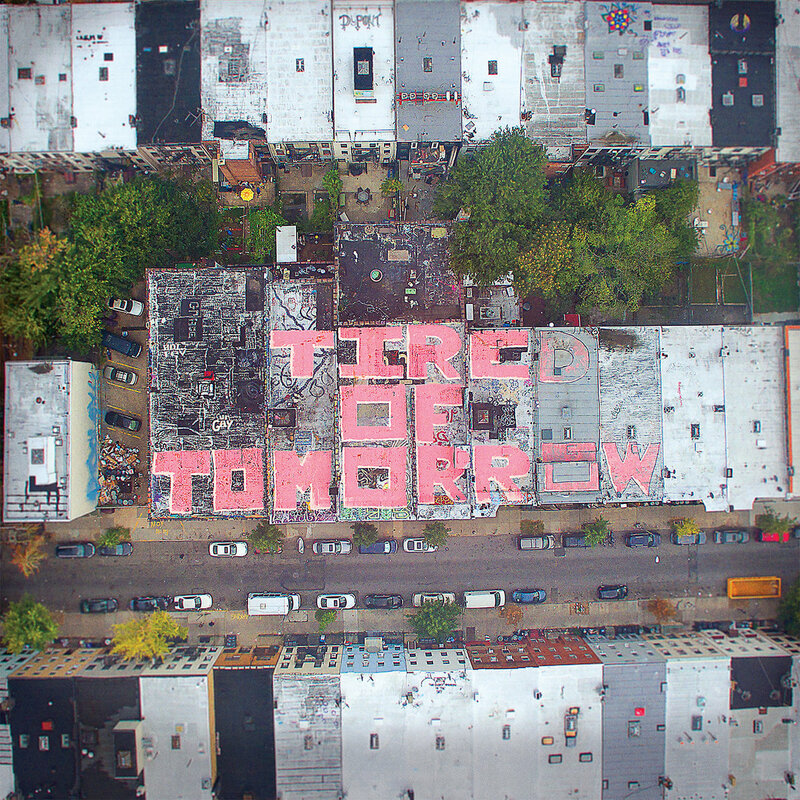 The vocals are more prominent on Tired of Tomorrow, whereas in the past they’ve almost felt like background to the wall of sound, and that “wall of sound” now has more definition and structure. You can tell that these aren’t just some dudes making random, loud sounds with their instruments and calling it “art.” They’re artists. They’re incredible songwriters and they’re talented musicians. If you already love Nothing, then after you listen to this album you’ll still love Nothing. If you just kind of like Nothing, I think after you listen to this album you’ll love Nothing. If you’ve never heard of Nothing, then after you hear this album you’ll love Nothing. Stephen has spent most of his life reading comics, watching horror movies, listening to death metal music, and speaking in the third person. His favorite comic book character is The Punisher, and he believes that the Punisher: War Zone movie is criminally underrated. His favorite film of all-time is National Lampoon's Vacation, and his favorite album is Pantera's "The Great Southern Trendkill".